So who's actually cooked in the head? Given how fit shes been looking lately, I'd say she'd perform quite well with the right package or equipment. She was significantly fitter when she had a gig. Her IG account doesn't suggest much time in the gym these days. Hard to tell how fit she is when most of the pics on her Insta show her chest and not much else..just sayin.. Regardless of all that- it appears she’s moved on from racing. Maybe she’s happier. Fair enough. She is. Says in the first bit there that he is a good teacher and helped her a lot, then the next bit says she had no one ( to help her ). Make up your mind woman!! It's people like here that do other women trying to get a break absolutely no favours at all. Rocks in as " the woman who is the real deal", then does the air-head bimbo thing, soaks up megabucks in sponsorship, gets decent equipment but no results, wrecks some cars, then decides it isn't her thing and vanishes. And people wonder why a lot of men don't give women a chance in motorsport. 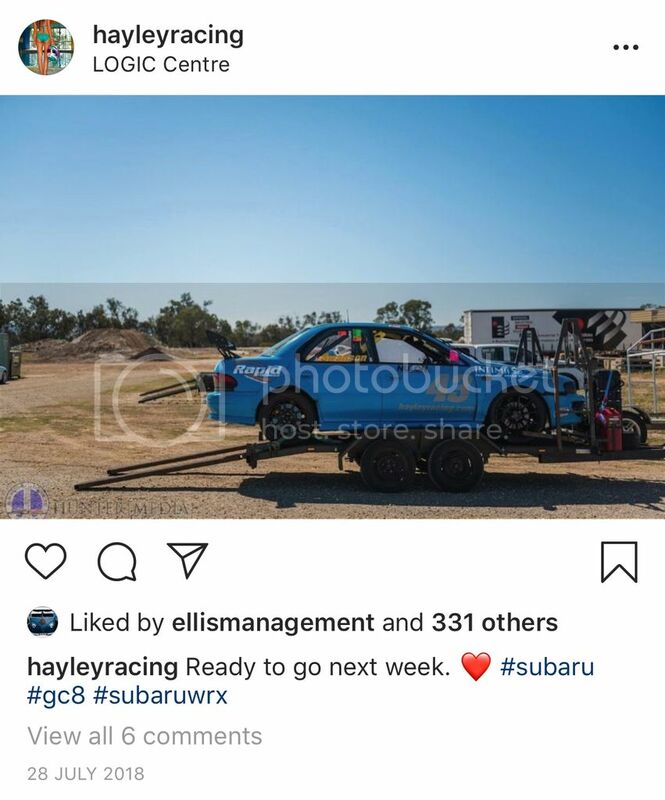 Then you've got people who can actually drive and have actual talent and dedication to the sport, like Heimgartner, who this year might not be on the grid simply because of lack of sponsorship. If I had money, I know who I'd be giving it too, and it wouldn't be the next Barbie doll that thinks she wants to be a race car driver. The thing is, she's inadvertently prevented others like Ms Angelo from processing, because she was the one in the lime light, minus the results. i’ll bite. it makes sense. you can learn from someone professionally, but they can also absolutely not have your back or support you. that doesn’t mean unconditional “there there, you’ll be faster next weekend”, it’s that thing really good engineers do where they make the driver feel like they will find progress, and help them find time. i’m sure we all work with people that we can learn from but who we struggle to get on with. from a female in motorsport perspective, i find often when a guy simply has no idea how to work with and develop a standard working relationship with a woman. if you’re the only woman in the team it can easily feel incredibly lonely and isolating, guys can be really weird about it. as for the idea of her “preventing” other women from progressing in the sport, may i suggest that’s the fault of the sport, not the woman? does a non-race winning male driver’s lack of success hinder other men from competing? does he heck. you can learn from someone professionally, but they can also absolutely not have your back or support you. This is all on the sport, and I've witnessed this from the non-competing side of it. Unfortunately we can campaign all we want for equality and call people out for the behaviour, but that behaviour and attitude is so inbred into some people you can't just can't change them. I think she still does club level racing.